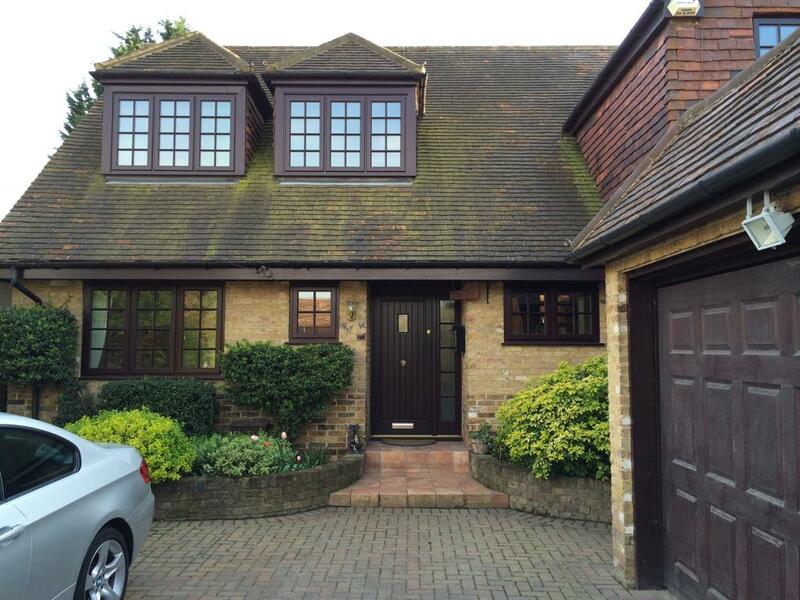 A detached property in Sunbury with new timber windows, front door and back doors. 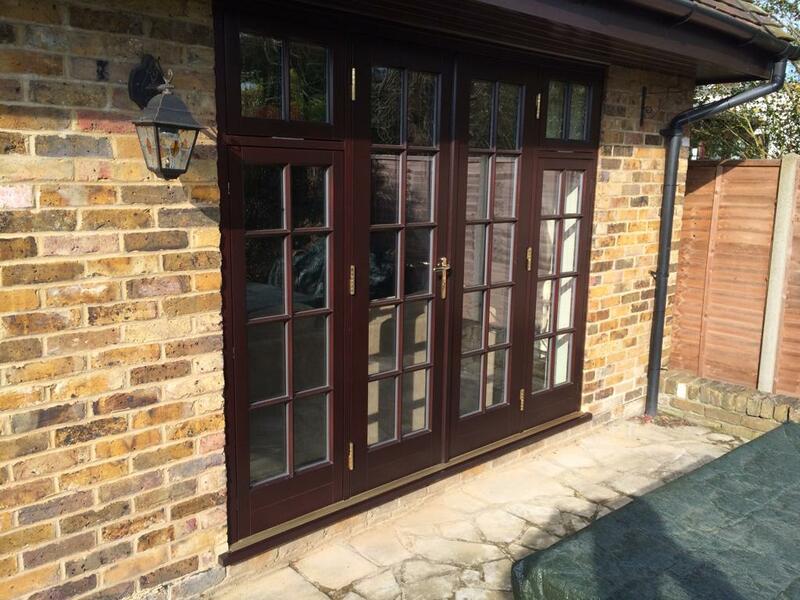 Top quality engineered stained timber windows and doors in a period style with glazing bars and quality double glazed units. Our timber replacement windows all have the latest glass and window technology, providing a natural material that is low maintenance, thermally efficient and with high security. 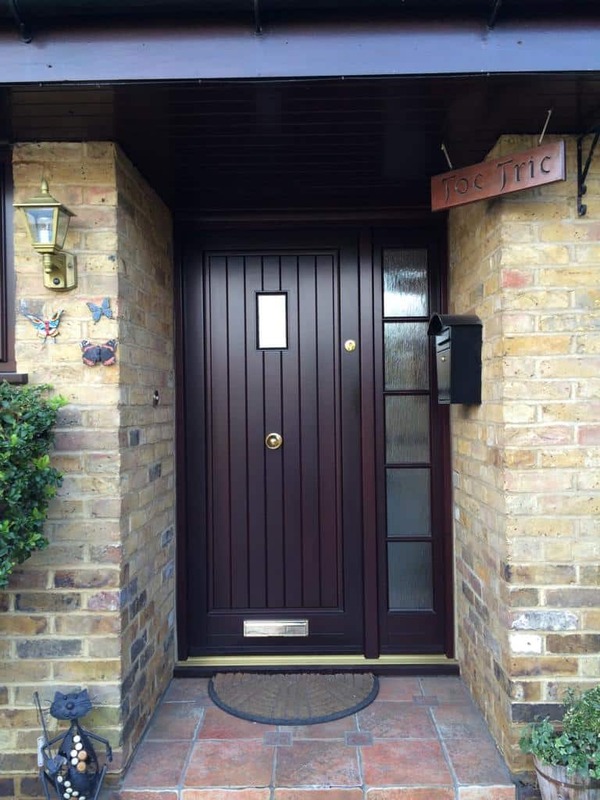 These replacement windows and doors offer all the beauty of crafted wood, with a warm to the tough feel and a luxury appearance. 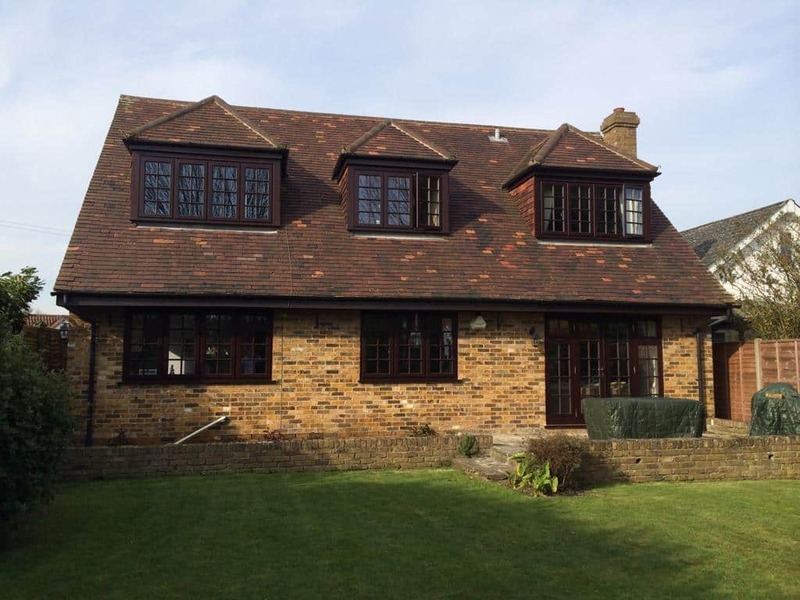 This project comprises a range of traditional casement windows and a modern front door as well as French doors and glazed panels. All these windows come with a long guarantee, durable paint finishes and are guaranteed against rotting, twisting and warping.